Based on the original rough draft of Star Wars! Features cyborgs, red laser swords, and trade negotiations. Because it always features trade negotiations. 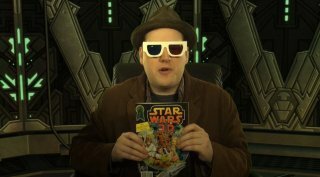 This Comic Review was released on March 2nd 2015 by Lewis Lovhaug.